Add natural warmth and charm to your home with these oak internal French doors. 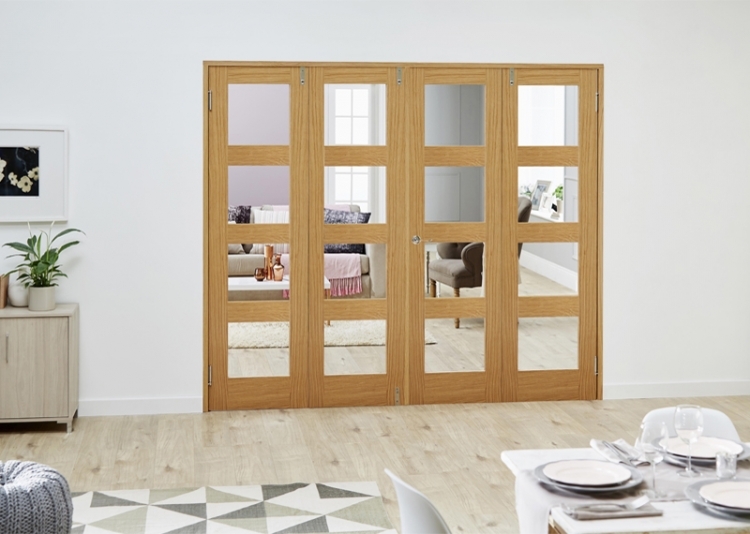 These 4 light oak shaker frenchfold doors offer simplicity and versatility, allowing you to make the most of the space in your home. What’s more, these doors are made of prefinished oak giving them an aesthetic appeal that suits your home environment and can be matched with other doors, windows, flooring and furniture. This set comes with universal frame set, pivots, hinges, brushed stainless steel drop bolts and pre-glazed oak doors…all you need is a handle and latch! Prefinished oak, ready to install.